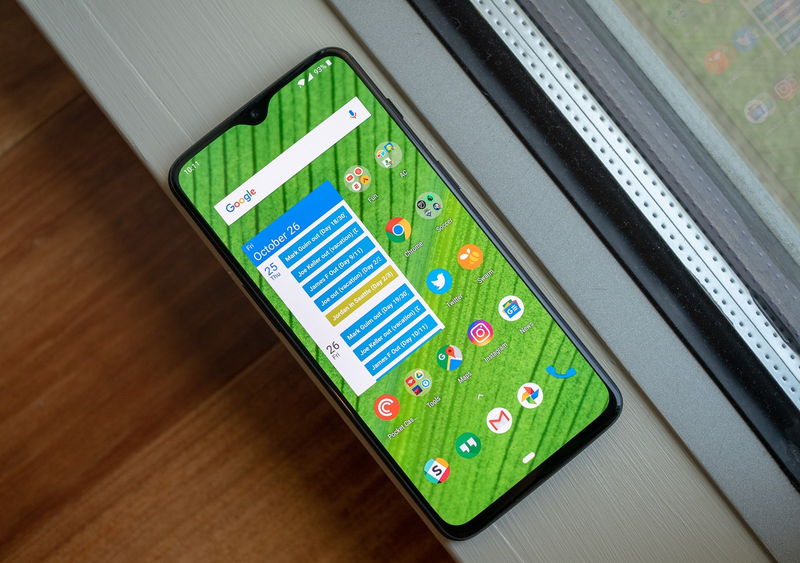 Is OnePlus 6T the smartphone you can ignore? OnePlus launched Oneplus 6T a few days back which is successor to summer launched OnePlus 6. Every year OnePlus launches two phones in it's flagship lineup one is the regular one and other is the 'T' version. This 'T' version comes with some betterment from the regular version but with the same chipset. So we can say that it is just a slight improvement over the regular version. OnePlus 6T also comes with the same chipset as OnePlus 6 that is Qualcomm Snapdragon 845 but has some improvements here and there. So let's see what extra features does this OnePlus 6T has. 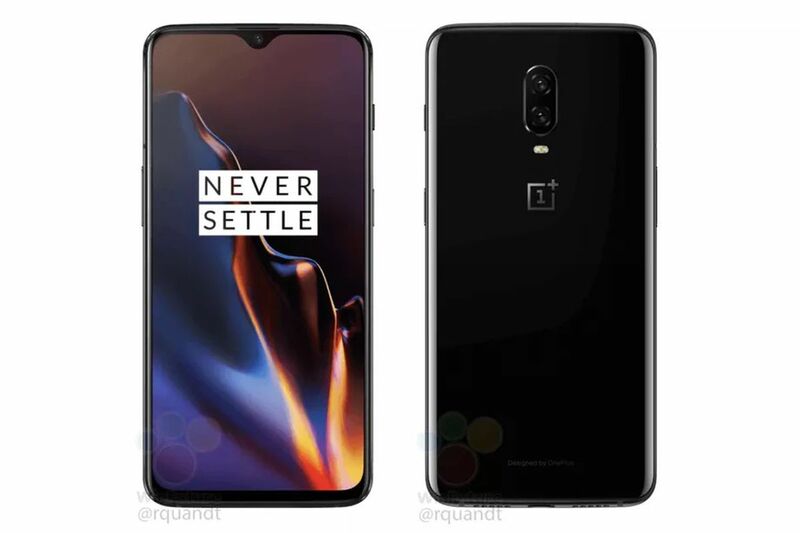 Design of OnePlus 6T is a little bit different from OnePlus 6. 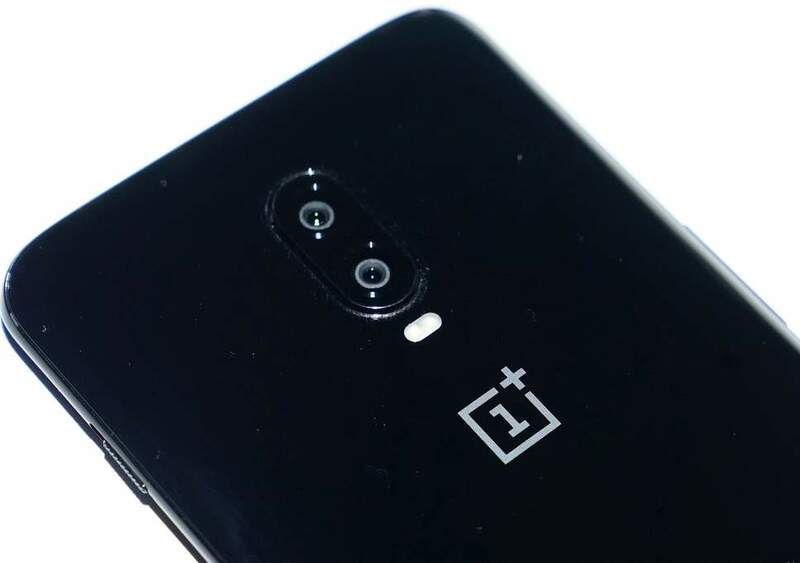 Earlier in OnePlus 6, there is one bigger notch in the middle which houses earpiece, front camera and sensors. But now in OnePlus 6T there is one smaller waterdrop notch in the middle which has increased the aspect ratio of the display to 19.5:9 from 19:9 on OnePlus 6. OnePlus 6T has a screen size of 6.44" measured at diagonals. The display is optic AMOLED type display with 1080*2340 pixels resolution. This time bezels of the phone are also little bit slimmer than on OnePlus 6. This display has 402 PPI density. The screen is protected by Corning Gorilla Glass 6 on front. The back of the phone is made of glass which is also Corning Gorilla glass 6. OnePlus 6T has an aluminum frame for better build quality. This new waterdrop notch personally looks better to me than the earlier big notch but still it depends upon personal preference. 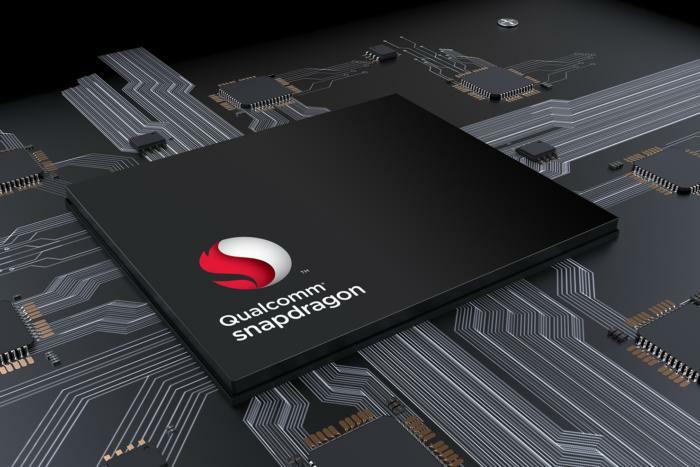 OnePlus 6T is powered by Qualcomm Snapdragon 845 chipset which also powers the earlier OnePlus 6. 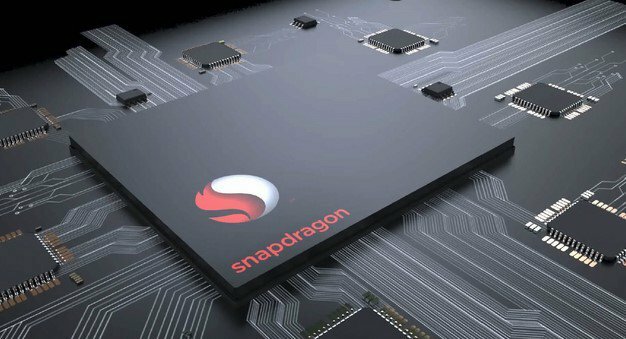 The chipset is really good as it is the top line chip from Qualcomm this year and many other flagship phones also uses this chip. So it is fully tested and trusted processor. This is built on 10nm architecture. It is based on octa core processor in which four kryo cores are cloaked at 2.8GHz each and other four kryo cores cloaked at 1.7GHz each. There should be no question regarding the performance of the phone, it has to be good as the chipset is the top line chipset of Qualcomm and we already know about the topnotch performance of Oneplus 6 which also runs on this chip. There is Adreno 640 GPU for higher graphic intensive tasks. So the gaming performance will also be really good. OnePlus 6T comes with the same camera setup as OnePlus 6. There is dual camera setup at back 16MP,f/1.7, OIS + 20MP,f/1.7. The primary lens is normal lens while the secondary lens is for depth sensing. Primary lens has a pixel size of 1.22µm while secondary lens has a pixel size of 1.0µm. Both the cameras have aperture size of f/1.7 so the low lightening photography will be good. This camera can record videos upto 4K @60fps. It can also record 720p slomo videos @480fps. This camera also supports Optical Image Stabilization for stabilized videos. These all features are same as that on OnePlus 6 while there is one difference. OnePlus 6T comes with a new night mode which helps in enhancing the picture quality during night shots. This actually works while keeping the shutter speed lower which allows more light to enter the sensor and hence better night shots. It takes around 2 seconds to capture pic in this mode. And also we don't require any tripod to capture this shot, we can do it handheld. This feature will also come to OnePlus 6 with a software update. On front there is same 16MP,f/2.0 lens for selfies. This also has portrait mode for background blur. OnePlus 6T comes with Oxygen OS 9.0.1 based on latest Android Pie. The oxygen OS is very close to stock android so the user interface is really good. Also there is no bloatware in the device. Oxygen OS is just like the cherry on cake for OnePlus. The performance of OnePlus devices get very enhanced due to this Oxygen OS. This operating system is very well optimized by the company. And also OnePlus devices always come with top end Qualcomm's chip. So the combined effect of extremely fast chip and very well optimized OS results in very good performance. The performance of OnePlus devices is so good that it leaves behind many other flagship devices like Samsung Note 9. 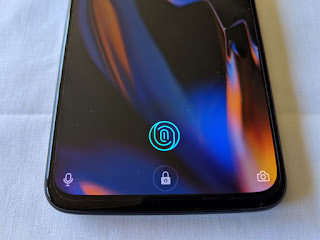 OnePlus 6 comes with a physical fingerprint sensor at back which is not the case with OnePlus 6T. OnePlus 6T has an under display fingerprint sensor. Vivo was the first company to bring this under display fingerprint sensor in it's phone. In that it was quite inaccurate and slow as well but now in OnePlus 6T, it is little bit improved. It is fast and more accurate but not as good as a physical fingerprint scanner. It's placement is at front above the navigation bar. Whenever you touch it, a green light glows and the phone will be unlocked. OnePlus 6T also has face unlocking which uses the front camera and is very fast. The most sad part about OnePlus 6T is that it doesn't have 3.5mm headphone jack. 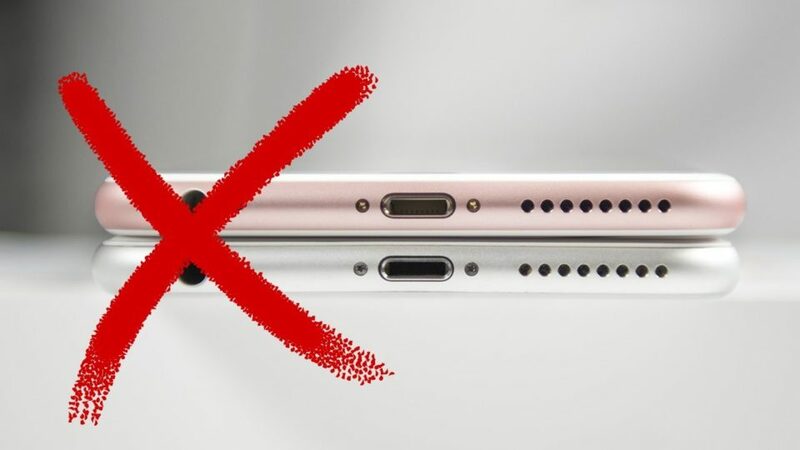 OnePlus has also followed the same trend just like Apple and many other smartphone brands to skip the headphone jack. While OnePlus 6 comes with this headphone jack. OnePlus has bundled a 3.5mm jack to Type-C adapter within the box. So we can connect our headphones to the phone but it would be better if OnePlus would have put 3.5 mm jack in the phone. a 3700mah battery. So battery life will be significantly better on OnePlus 6T. Also OnePlus 6T comes with the very famous dash charging which was also present on OnePlus 6. OnePlus 6T comes in three memory specifications that are 6GB/128GB, 8GB/128GB and 8GB/256GB. Earlier the lowest memory version available on OnePlus 6 was 64GB but this time it is 128GB which is a good thing as well as bad. As OnePlus 6T comes with a lot of new features, so it's price will obviously be higher. OnePlus 6T 6GB RAM version starts at $549. The same storage but 8GB RAM model is priced at $579 and 256GB version is priced at $629. OnePlus 6 starting price was $529 for it's 64GB version. OnePlus is increasing it's phone price year after year. Earlier when OnePlus came in the market, it came as a brand which launch value for money flagship phones. But year after year that picture of OnePlus is diminishing with the increment in prices of it's phones. We know that this increment of phone's price is due to inflation in market and also company is improving the features in phone year after year which ultimately require more money to manufacture the phone. But OnePlus should remember it's position and for what it known for and then price it's smartphones accordingly. But this phone is still a very good phone at the price it comes. If you own a OnePlus 6 or OnePlus 5T, you can simply ignore this phone. But if you own some other phone and want to upgrade to a good flagship phone and your budget is around $500-$600, this is a perfect phone for you but you are going to miss that 3.5mm jack. Smartphones got prominent with the launch of Android and Apple phones in the market and now they have become quite common among people. HTC Dream G1 was the first commercial Android device which was launched in 2008 with the price tag of $180. It's price is not as high as other flagship phones in the market like iPhones. First iPhone was launched in 2007 that is iPhone 1, and it was a true flagship device with price tag of $499. Samsung launched it's first flagship device, Samsung S1 in 2010 to oppose iPhone 4 which costs $649 in the market. All these phones are the flagship phones from the companies. iPhone 1 can be considered as the first true flagship device which came at price of $499. Year after year the price of iPhones increased. Every new version come with new features but it also comes with a higher price tag. For example iPhone 1 came with $499, iPhone 3G with $599, iPhone 4 with $599, iPhone 5 with $649 and it continued. 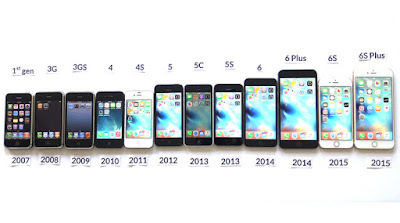 After iPhone 5, iPhone 6 launched in two versions that is iPhone 6 and iPhone 6 plus. Obviously plus model would be better than regular one and also be costlier. And it has happened with every iPhone till now. With the launch of iPhone X, Apple directly slashed the prices to $999 which made it the costliest iPhone ever and best also. This year we have iPhone XS and XS Max. iPhone XS starts at $999 while iPhone XS Max starts at $1099. We already know that bigger version will again be the best between two. So we can say that the prices of iPhones are increasing year after year. And it's not only the case with Apple, it is with every smartphone brand in the market like Samsung and Google. So why the prices are getting so much high? It has two reasons that are new better features and inflation in the market. Everything is getting costly like labor, materials, advertising, R&D etc. This is the reason which companies give why flagship phones are getting costly. Now let's shift to some other stuff. Earlier there were very few brands available in the market like Samsung, LG, HTC etc. and also we are very much restricted to offline markets only. So we buy phones from these brands in mid range and budget segment also. But now with the integration of online market, many smartphone brands are available. 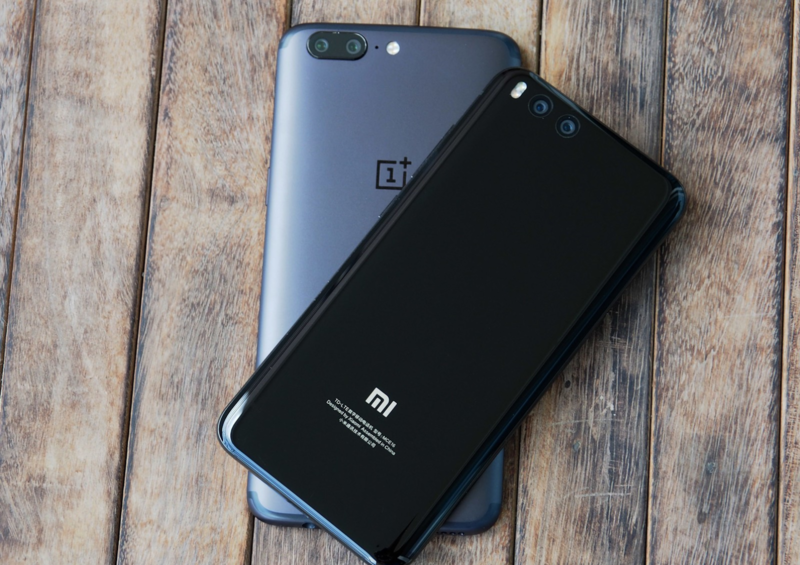 Brands like Oneplus and Xioami have changed the whole smartphone market in budget and mid range segment in past few years. These brands give better value for money phones than Samsung or HTC at the same price. So people have understood this and they have started preferring these brands over Samsung or HTC. But the question is how do they able to give so many features in their phones at such a price? There are many factors to consider. 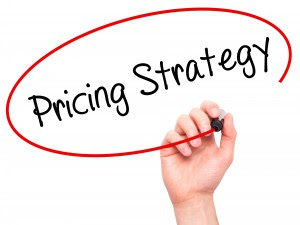 If we have to sell a phone in the offline market, there are many middle men involved in between the company and the market, so the price of phone keeps on increasing with every middle man involved. These brands sell their phones only in the online market so there is no middle men involvement. And pricing of phone don't get high with many persons involved. Secondly these brands also keep their profits per phone low which helps in reducing the cost of the device. Also they don't spend a lot on their R&D department while the companies like Samsung and Google spend a lot of money on R&D. These brands also don't spend a lot on advertising as well which further helps in reducing the cost of the device. So these are the main reasons for low cost of these devices. 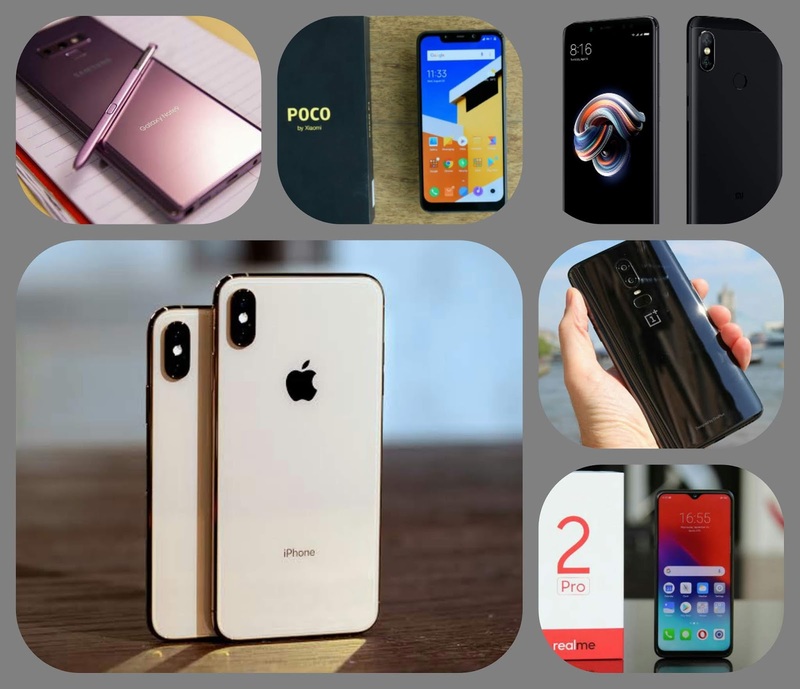 But now some other companies have emerged in the market which are giving even better value for money phones than Xiaomi and Oneplus and that are Poco and Realme. While Poco is a sub brand of Xioami so technically it's Xioami. Poco F1 is the phone which is powered by Qualcomm's Snapdragon 845 chipset and is avialble at just $300. So this is the cheapest phone to be powered by this chipset. Earlier Oneplus has this title. I am not saying Poco F1 is better than Oneplus 6, it's just better value for money phone. Same case is with Realme phones. Realme 1 and Realme 2 pro are just fantabulous phones at the price they are avialble. So here we saw that the budget and mid range phones are just getting better and better and that too at the same price or even cheaper. So what's actually happening in the market? Do we really have to go with such bigger brands for flagship devices? Actually it depends upon you only. First of all flagship phones are the phones which have very high end features. Any new feature which comes in the market firstly comes to flagship devices. These have best processors, best cameras, best displays, best built quality, in short they have everything best. But these days problem with flagship brands is pricing. They don't price their phones aggressively which results in low sales. 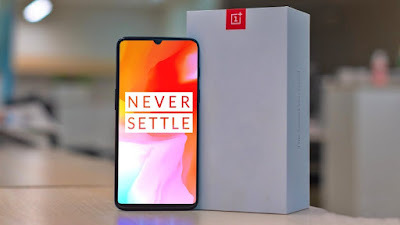 These brands should understand the smartphone market carefully and should price their phones accordingly as many persons have understood the condition and started going with other brands like Oneplus. If they will not pay attention to this, one day will come that their sales will decline to a huge level. 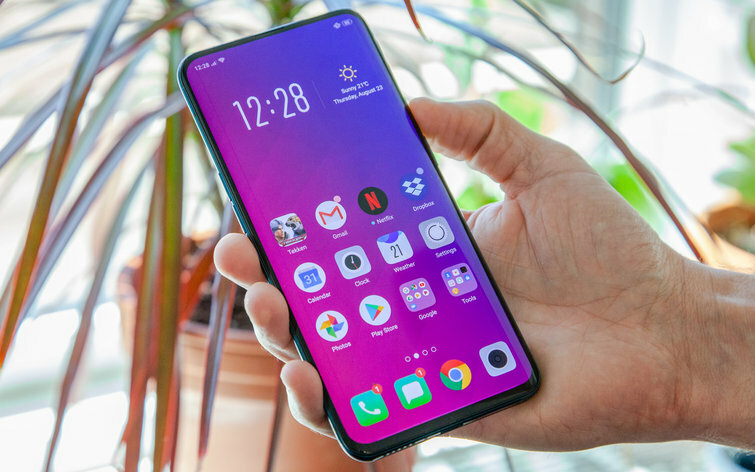 So how good is Oppo Find X? All the smartphone users must have dreamt of a full end to end display smartphone which will have barely have any bezels. Many of the smartphone companies came up with their phones which have reduced bezels and large aspect ratio displays. 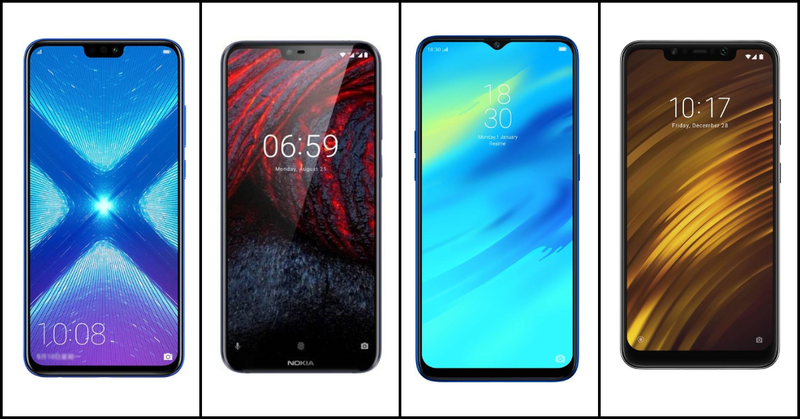 These phones are Xioami Mi Mix, Samsung S series, LG G6 and many more but all of them have a bezel chin on top or bottom. 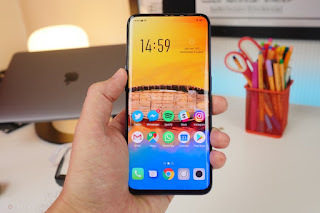 Now you will say that what about notch display phones like iPhone X and Essential Phone. But they also don't have full end to end display due to that notch. Actually the main problem is the placement of front camera, ear piece and sensors which are either mounted on the notch or the grill. But now Oppo has tried to diminish this problem too. 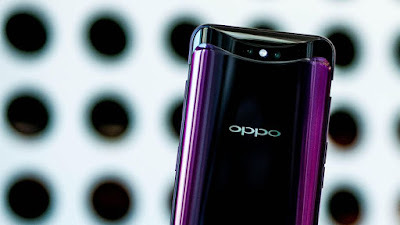 Oppo few months back came up with a smartphone with a slider camera mechanism. The camera slides from top of the phone each time when we have to use the phone's camera. Also face unlocking tech is embedded within this sliding module. We will discuss more about this slider in detail in later part. With this they made a phone with an end to end display. 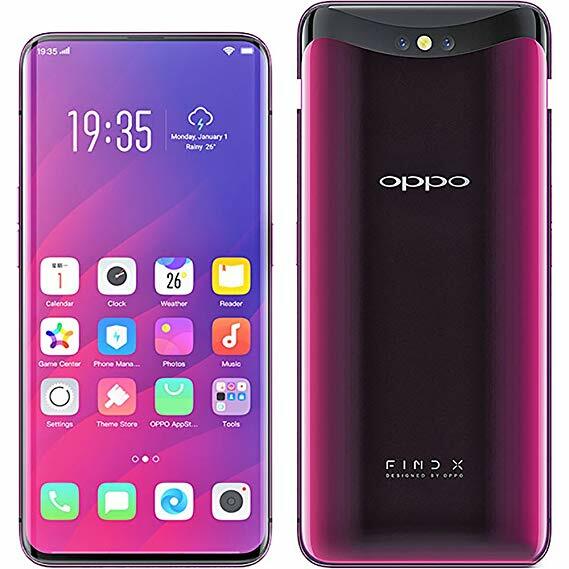 This phone is Oppo Find X. 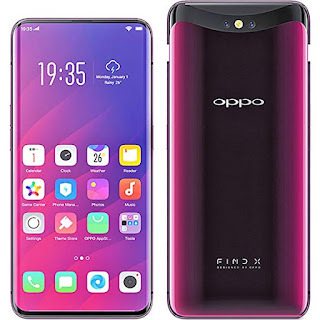 So toady is this article we are going to discuss about Oppo Find X.
Oppo Find X comes with a stunning design. The first thing you will notice about this phone is it's screen which has full end to end display without any notch or grill on top or bottom. The side bezels are also very thin which makes this phone a true bezeless phone. No company till now is able to manufacture a true bezeless phone. 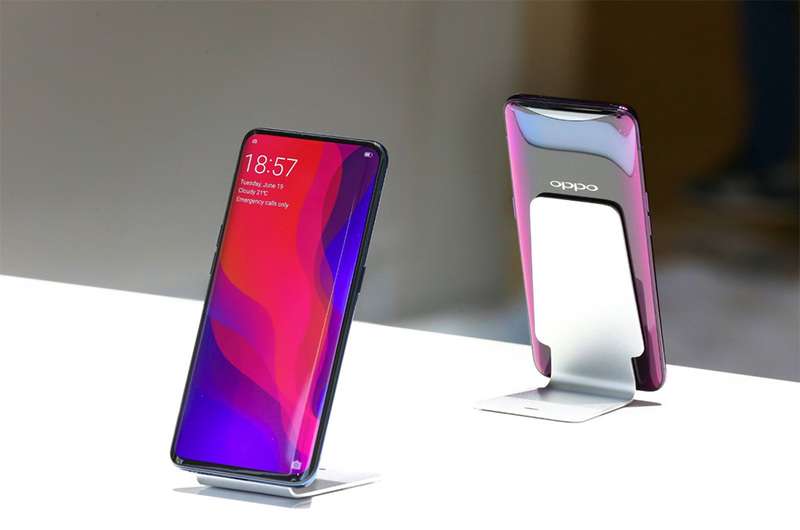 Oppo Find X has a large 6.42" AMOLED type display. Even if this display is so large we can hold this phone easily with one hand. The resolution of this display is 1080*2340 pixels with an aspect ratio of 19.5:9. The screen is protected by Corning Gorilla Glass 5 on front. The back of the phone is also very premium. It is a curvy back with glass build. The edges are curvy and corners are rounded which reflect light from different angles and gives a crystalline feel. The build quality of phone is really good. It looks really premium. The back of the phone is really eye catching which comes in two different colors that are Bordeaux Red and Glacier Blue. Both the colors look really good and gives crystal effect to the phone. The frame of this phone is made of aluminum. Now let's have a look at the performance of the device. The phone is powered by Qualcomm's Snapdragon 845 chipset which is an octa core chip with four Kryo cores cloaked at 2.8 GHz each and other four Kryo cores cloaked at 1.7 GHz each. And all know about the performance of this chip. This is the flagship chip of this year form Qualcomm. So we needn't worry about the performance of this device. For better graphics it has Adreno 630 GPU. So the phone will be able to handle all the graphic intensive tasks and games without any issues. The chipset is built on 10nm architecture. The hardware of this device is a complete flagship package. Now let's see the main feature of this smartphone that is slide out module. This slide out module houses the main camera, front camera and 3D face scanner. This comes out every time when we have to take a photo or have to unlock the device. As it doesn't have any fingerprint scanner we have to completely rely on face scanning to unlock the device. The sliding out mechanism is really smooth and quite fast. Now you must be thinking where is the ear piece for taking calls. For calls you don't have to slide the module the earpiece grill is on the module and glass lets the sound through. This slide out module is also pressure sensitive which means if it feels slight pressure on top it will automatically get closed. The main camera at back is a dual camera setup which is 16MP, f/2.0 + 20MP, f/2.0. Here the secondary lens is just a normal sensor for depth sensing. The Primary lens is Optically Stabilized. There is a full fledged manual mode for professional shots. It can also capture portrait shots. There is also a 2x optical zoom. The camera can record videos upto 4K @30fps and 1080p also at 30fps. 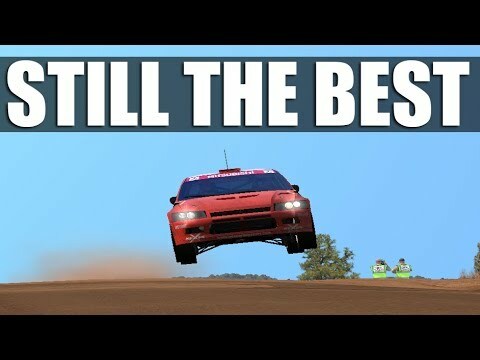 There is no support for 60fps video recording. It can record slomo 1080p videos at 240fps and 720p videos at 480fps. But there is no support for 60fps video recording. Front camera is a 25MP shooter with f/2.0 aperture. This can also capture portrait shots which is possible due to 3D face camera on front. The camera of this phone doesn't seem to be that much promising as other flagships camera do. Oppo Find X runs on Color OS which is built on Android Oreo. Color OS is far from Stock Android. The UI is well optimized so all the tasks are quite snappy. But it's not that bad actually. It is a little bit complicated but person can be used to it. There are actually a lot of gestures to switch between apps, for home screen and split screen. An always on display is also here. There is no 3.5 mm jack which is a great disappointment. There is also single speaker on the device which means no stereo speakers. There is no app drawer in the User Interface. Oppo Find X comes with a 3730 mah battery which is enough for a phone running on Snapdragon 845 as it is a very power efficient chip. There is USB Type C port for charging the phone. There is fast VOOC charging in the device which claims to charge the phone from 0-50% just in 30 minutes. There is no wireless charging support in the phone. Now comes the pricing of the phone. Here in India the phone is priced at 60000 INR and in China it is priced at 5000 Yuan. It seems that Oppo is charging a little bit extra for that motorized sliding module. But it is a nice start from Oppo to incorporate that sliding module to make bezels a lot slimmer and producing a full end to end display phone. It will be interesting to see the second generation of this phone. Apple is always known for producing premium phones. Every year they come up with a new flagship phone. This year Apple launched three new iPhones in it's event. But this is the second time Apple has launched a cheaper version of iPhone. First time was during the launch of iPhone 5S where they came out with a cheaper version of iPhone known as iPhone 5C. iPhone 5C was a plastic phone and was a big flop. And this year also the third iPhone is a cheaper version of iPhone. 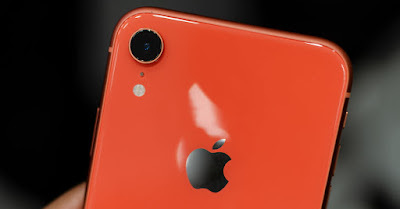 This is known as iPhone XR. So is this phone really worth considering or not? We are going to discuss this question in this article. 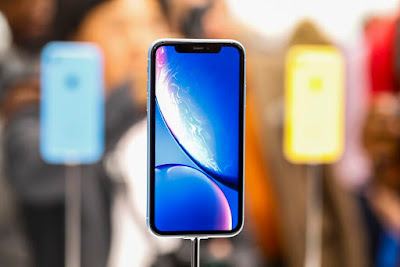 Apple iPhone XR has many of the features same as the other two premium devices of this year that are iPhone XS and XS Max. 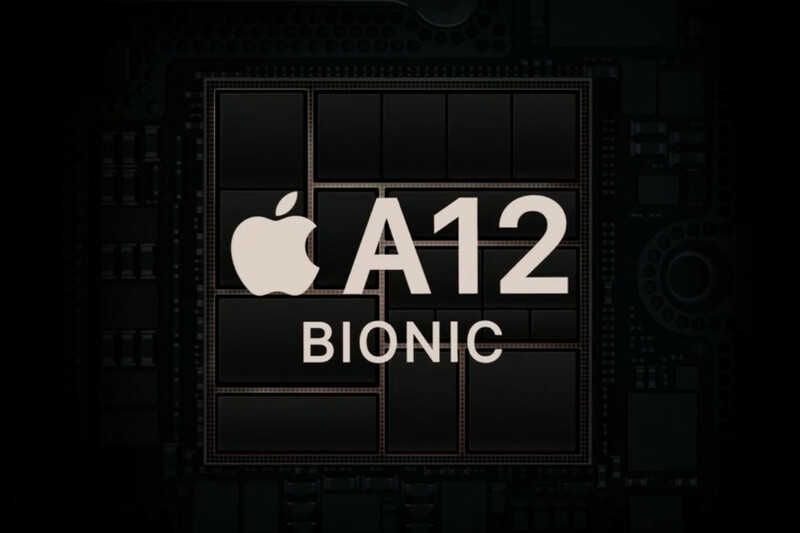 Like they all are powered by the same chip that is the all new A12 Bionic chip. So it means there is no compromise on the performance of the phone. The amount of RAM is also same, so RAM management will also be good. As it has the same chip all the things related to chip will be same such as GPU for better graphics, octa core neural engine and ISP for image processing. As neural engine is same so iPhone XR will be able to handle all the AI tasks which iPhone XS can handle such as face ID, Augmented Reality, Animoji, Siri etc. Also it has the same notch which houses front camera, IR Blaster, Infrared Camera, ear piece, microphone, dot projector, ambient light sensor and proximity sensor. As it has all the sensors same as iPhone XS, it also has the same Face ID to unlock the phone. And this will be equally fast as iPhone XS. Now let's talk about the design of the phone. This has a screen size of 6.1". This screen also has a notch at top as mentioned above. So the aspect ratio of the screen is also 19.5:9. But the display is not an OLED display, it's a LCD display and that too with less resolution that is 828*1792 pixels. The resolution is slightly higher than 720p still you can't even watch full HD videos on this screen. This is a little bit disappointing. 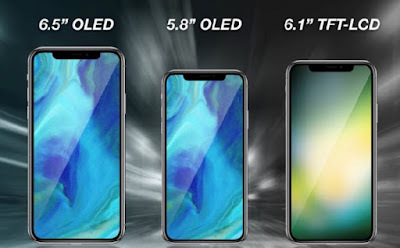 But we know that the quality of Apple's LCD display is also very good still it won't be as good as iPhone XS's display. The back of the phone is made up of glass and the frame is made up of aluminum instead of stainless steel. Also there is one more thing to consider in iPhone XR. The bezels of the phone are slightly bigger than other two phones. This is due to presence of LCD display which can't bend like OLED display on iPhone XS. Also the PPI of the phone is slightly low that is 326ppi. So this phone won't be your choice if your priority is display. Now let's talk about camera. iPhone XR has the single camera setup at back unlike Apple iPhone XS and XS Max. But this single camera lens is same as the primary lens on other two iPhones that is 12MP, f/1.8, 28mm lens. The pixel size and aperture size is also same which is really good. But the telephoto lens is missing so there is no optical zoom. Still portrait mode is present on the phone and this is done by software. This can also record 2K videos and slomo videos. It has all the features also same like auto HDR and changing the background depth after capturing photos which is a good thing. Also the front camera is same that is 7MP,f/2.2, 32mm lens. 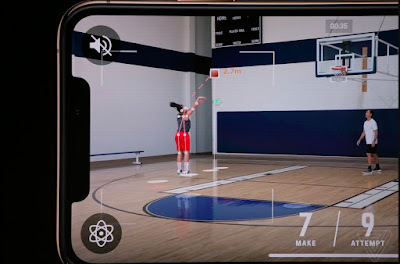 So in short this camera can do all the tasks as the cameras of iPhone XS and XS Max except 2x optical zoom. 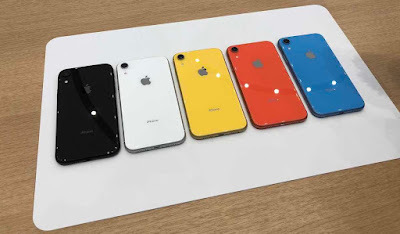 iPhone XR comes in six different colors just like iPhone 5C. These colors are Black, Red, Yellow, Blue, Coral and White. This reminds us of the iPhone 5C which also comes in multicolor but that one has plastic body. The aluminum frame on the sides also matches the color of the back which is good. The wireless charging is also present on this phone. This phone comes with IP67 rating while the other two devices come with IP68 rating which means that the other two phones are more protected by water and dust. The battery capacity of iPhone XR is still unknown but the phone supports fast charging which is good. And it is expected that the battery capacity of this phone will lie between iPhone XS and iPhone XS Max's battery. Now comes the pricing of the device. iPhone XR is priced at $750 for the 64GB of version. Apple has gone right with this pricing of smartphone. So the main question is 'Should you upgrade to iPhone XR or not?'. Yes you can upgrade to this phone if you are an Apple fan boy and you want to taste the flavor of new A12 bionic chip and all it's new features you can definitely go for this. But keep in mind the bigger bezels, LCD screen, IP67 rating and no optical zoom/no telephoto lens. If you are using an iPhone 8/7/6 but want a smartphone more affordable than iPhone XS and XS Max, you can definitely go for this smartphone. The phone will be avialble in the market from next month. So it's about 3-4 days since apple launched it's new phones that are iPhone XS and iPhone XS Max. 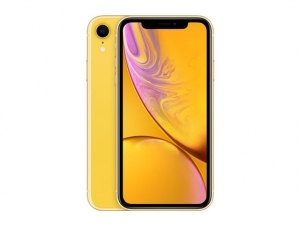 There is one more iPhone this year that is iPhone XR which is a cheaper version. 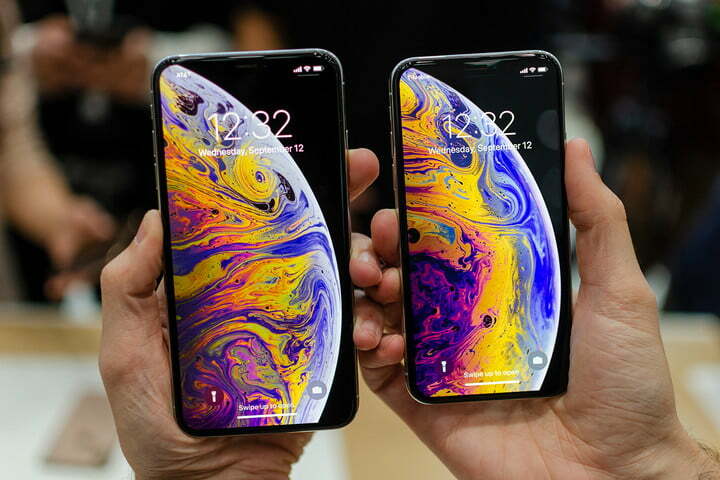 In this article we are going to see that is there really any difference between iPhone X and new iPhone XS and XS Max. iPhone X was the first phone from the company which has end to end display with small bezels. Last year with the launch of iPhone X, Apple introduced an all new phone with new design, new camera, new chip and many other new features. It means there were a lot of changes in iPhone X from it's previous iPhones. But let's see whether this year apple has provided something new or not. The initial impression of a smartphone comes from it's design. 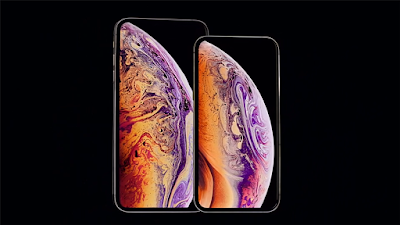 iPhone XS and XS Max comes with exactly same design as that of iPhone X, with same notch display and glass-stainless steel body. But iPhone XS has a screen size of 5.8" while iPhone XS Max comes with a massive screen size of 6.5". As iPhone XS comes with 5.8" display it looks identical to iPhone X. But there is only one thing which can differentiate it from iPhone X that is the new Gold color. Both the new iPhones come in three colors that are Space Grey, Silver and Gold. Yes Gold is the new color and it definitely looks better than other two colors. The display on both the phones are still OLED type with 19.5:9 aspect ratio. iPhone XS has display resolution of 1125*2436 pixels and that on iPhone XS Max is 1242*2688 pixels. Both the displays come with scratch resistant glass and oleophobic coating. Also both the phones have notch at the top in front. 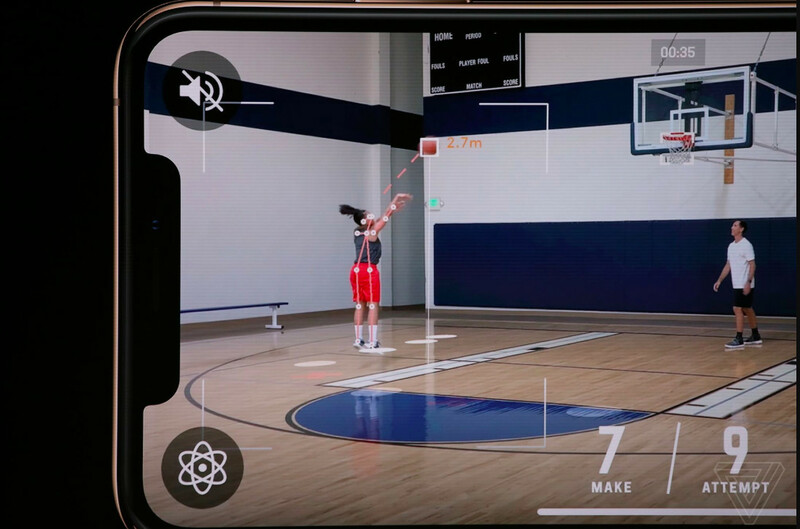 The notch is also exactly same as iPhone X which houses an ear piece, front camera, IR camera, microphone, dot projector, ambient light sensor and proximity sesnor. These different sensors coordinate together to unlock the phone with face ID. Face ID is present on both of the iPhones and it will be faster than the previous generation. Both the iPhones now have IP68 rating. So we have arrived to a conclusion that there is no major difference in the design of new iPhones from iPhone X. 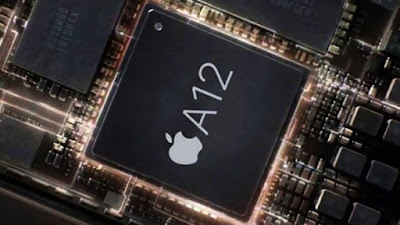 Now take a look at the major change in the phones that is the all new A12 Bionic chip. The new chip is manufactured on all new 7nm architecture which further increases the transistor density thus improving the performance of the device. This chipset is a hexacore chip with two powerful cores and four power efficient cores. This new 7nm architecture chip will increase the performance and improve the power efficiency. 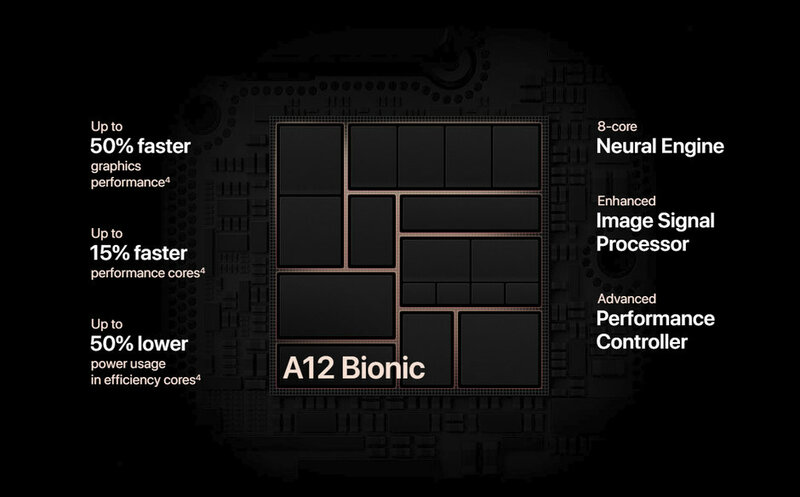 Last year, Apple has a dual core neural engine in it's A11 chip. 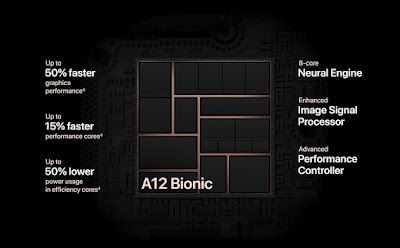 This year A12 Bionic chip has an octa core neural engine. This neural engine helps in machine learning and artificial intelligence of the phone. That means it assist in functions like face ID, Animoji, Augmented reality and many other things. As this year we have an octa core neural engine, all the AI functions of the phone will be much faster. Now let's have a look at the camera of the phone. There is not much difference in the camera department in the hardware part. 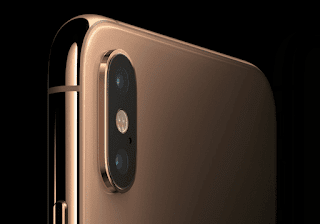 iPhone XS and iPhone XS Max both have same dual camera setup as that on iPhone X that is 12MP,f/1.8 + 12MP,f/2.4 where second lens is a telephoto lens. The only difference in the camera hardware is that now the primary lens has bigger pixel size of 1.4µm. The front camera is also same as 7MP,f/2.2 lens. The back camera can record videos upto 2160p @60fps. It can also record 1080p slomo videos @240fps. It is a little bit disappointing that apple phones can only record slomo videos @240fps while other brands like Samsung and even Oneplus are giving 960fps and 480fps slomo video recording respectively. The front camera can record videos upto 1080p @60fps. The portrait mode is present on both front as well as back cameras. The telephoto lens helps in 2x optical zoom in the camera. Though iPhone XS and XS max's camera don't have a lot of difference in the hardware part, there are differences in the software part. With the A12 chip there is all new ISP for cameras. It helps in producing better photographs by processing them properly. There is an all new HDR mode just like on pixel phones. So the image quality is going to increase with this phone. Also there is a mode in the phone where you can change the depth of feel in the shot even after capturing it. It helps in choosing us how much amount of blur we require in the background. All previous features like lightening photos are still present on the device. iPhone XS and XS Max both comes with iOS 12 installed. We all know about the software experience of the apple which is really amazing. Apple pays a lot of attention in the software part. 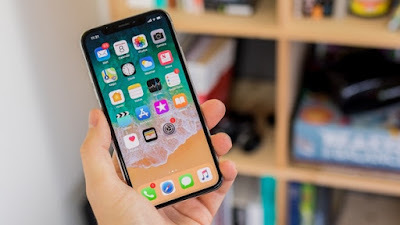 It does optimization between the software and the hardware so well that every iPhone of the year becomes the most fluid phone. Now the Sri has become more advanced. The gesture functionality is still there on both the iPhones. Both iPhones come in three memory specification 64/256/512 GB internal with 4GB of RAM. There is no slot for micro SD. Now new iPhones support e-SIM and there is one slot for physical SIM as well. So now technically they are dual SIM devices. 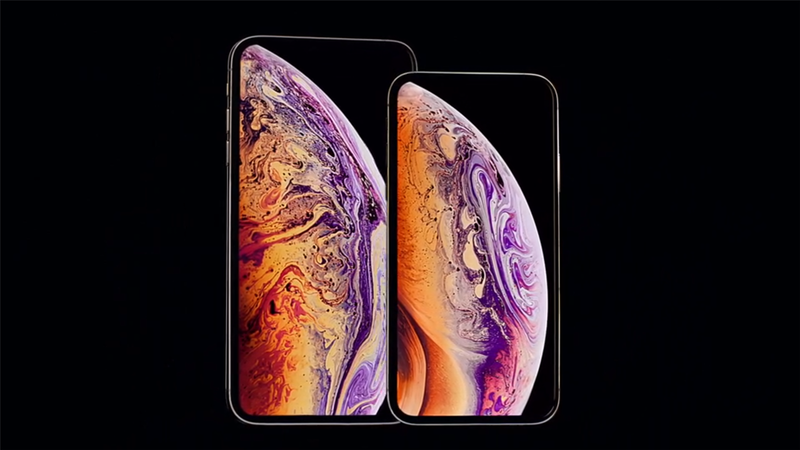 iPhone XS starts at $999 and iPhone XS Max at $1099 for 64GB version. Now the main question arises, should you upgrade? 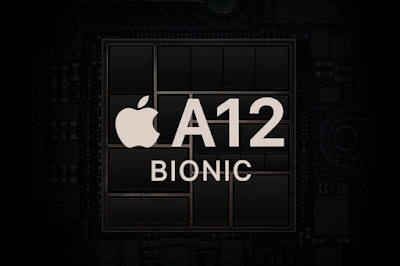 If you own an iPhone X and planning to buy iPhone XS or XS Max, stop there because you can see that only there is one major difference that is A12 Bionic chip. There is no other major change in the devices. But if you own a iPhone 8/7/6, you can definitely upgrade to these new devices because you will see a lot of differences. 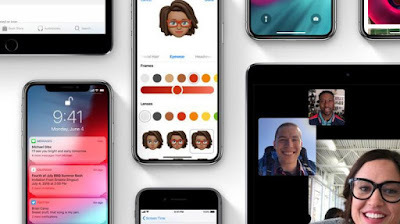 Apple is all setup to launch it's new iPhones of this year on September 12. We have heard of lot of rumors about the new iPhones till now. And we are going to discuss all those rumors today in this article whether be it's display, processor, name, design and the rest. 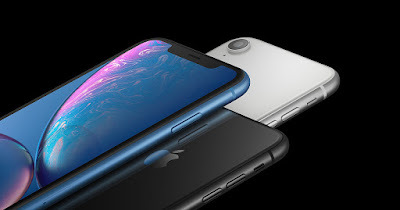 First thing which comes in mind is that how many phones will Apple launch this year as it launched three new iPhones last year in the event that are iPhone 8, iPhone 8 plus and iPhone X among which iPhone X is the special edition phone on Apple's iPhone 10th anniversary. This year also there will be three iPhones at the event among which two will be successor to iPhone X and one will be the cheaper one. And now you must be thinking what will be their names, so the cheaper one will be known as iPhone 9 and the other two will be iPhone XS and iPhone XS Plus. But we have reports that Plus version will be named iPhone XS Max. So whatever be the names let's discuss the internals of the phone and their design. iPhone X will have a screen size of 5.8" while XS plus will have screen size of 6.5". The design of both the phones will be very similar to iPhone X which means that notch design. Both the phones will be having OLED displays on the front. And this time the quality of the displays will be even better than iPhone X. The front screen will be same with very small bezels. The notch on top will be having all the sensors, camera and face ID technology which unlocks the phone by firing infrared waves on face. Also the back will be made up of glass and the placement of the rear camera will be same. The design of iPhone 9 is unknown. It is expected that it will have a screen size of 6.1". It will also be having the bezeless screen on the front just like other two models. But we are doubtful that the company will provide the same notch on this iPhone or different. The screen of this phone will be a LCD display and that too with lower resolution than other two iPhones. We are still unsure about the back of the phone whether it will be glass or metal. This will be cheaper than other two phones so company has to do some cost cutting. iPhones are always known for their fast performance. 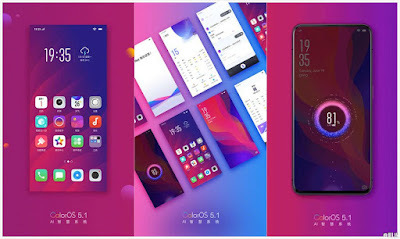 First of all their A series chips are really good and secondly the optimization between hardware and software is awesome which helps in improving the performance of the phone. This year iPhone XS and XS plus will be powered by the all new A-12 chip. This chipset will be based on 7nm architecture thus making the chip size small and comparatively faster. The performance will be really good by seeing the track record of Apple. Also there will be a all new GPU for the phone which will increase the performance by 20-25% as per the rumors say. iPhone 9 will also have the same processor as that of other two iPhones. 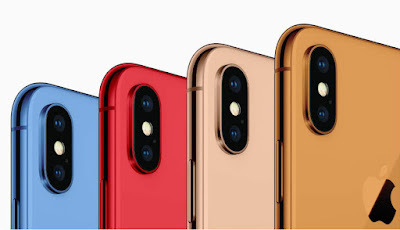 This year the iPhones will be available in multi colors but the frame will remain same on all the phones that is stainless steel in iPhone XS and XS Plus while iPhone 9 on the other hand will have an aluminum frame. Both iPhone XS and XS plus are rumored to come in dual SIM models which will be the first iPhones officially to have dual SIM. This year camera is also rumored to be improved. iPhone XS is rumored to have dual rear camera setup, iPhone XS plus to have triple camera setup and iPhone 9 to have a single rear camera setup. 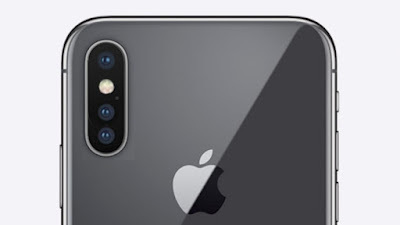 If this news is true, iPhone XS plus will be the second phone in the market to have triple camera setup. Also there will be increment in battery capacity of the phones. iPhone XS Plus is rumored to have a massive battery of 3400 mah and iPhone XS to have a battery of 2700 mah. And lastly, these are just rumors and leaks, nobody knows the real story. But there are not many days left for the real picture to be revealed. Apple is holding an event on September 12 in California, US where it will reveal all three new iPhones along with new Apple watch and new iPad. But I am most excited about the cheaper version of iPhone this year that is iPhone 9. We all must have heard about the wireless charging which is getting really famous these days in phones to charge the battery. 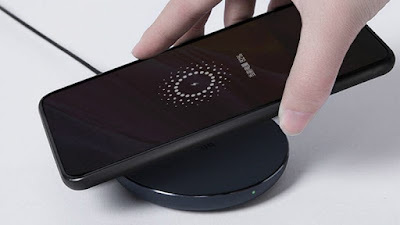 As the name implies, wireless charging means charging the device without any wires, directly connected to your phone. For this you just need a wireless charging pad and a phone which supports fast charging. We just have to put the phone on the pad and it will charge your phone's battery. This pad will get power from the electric mains via a charger. So basically this pad will be connected to the charger and phone will be placed on this pad. We won't go into deep how this actually works. These days this wireless charging is mainly available only in flagship devices as there is some extra arrangement needed in the phone. This extra arrangement adds to the cost of the phone. So this is generally available in the flagship phones which can the bear the cost of this wireless charging. Phones like Samsung S series, Note series, iPhones, LG flagships and many more support this. There are a lot of wireless chargers available in the market but they are actually really costly. So keeping this in mind, Xiaomi came up with a cheap wireless charger known as Mi Wireless Charger. 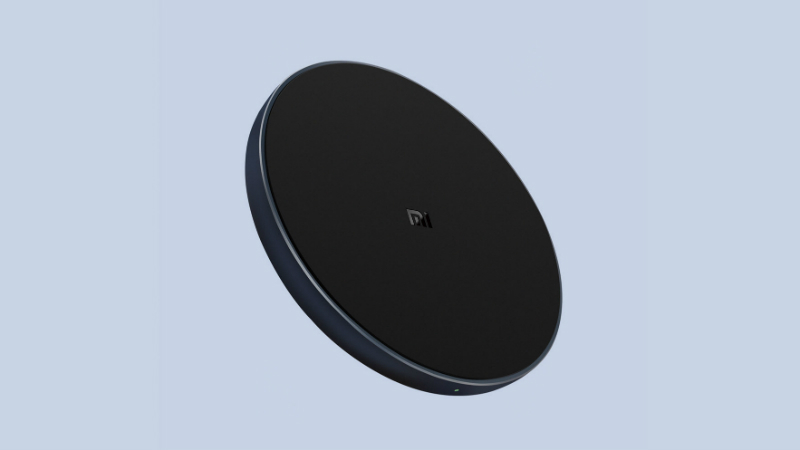 Mi wireless charger is based on generally accepted Qi standard. So it will only charge your phone if your phone also supports Qi standard wireless charging. This charger can support charging upto 10W. The body of this pad is made up of aluminum with silicone layer at top. It is connected to charger via a USB Type-C port. If you will use a fast charger of 18W this pad will be able to charge the phone at 10W or 7.5W and if you will use a normal 10W charger the phone can be charged at 5W. This pad also has an LED light to tell whether your phone is charging or not. Also it can charge the phone upto a distance of 4mm, so the phone can be charged even with a case applied. The wireless charger comes with a lot of protective features such as temperature protection, short circuit protection, overvoltage protection and power protection. These protective features will help in safe charging of your phone and in case of any emergency these will be helpful in protecting your phone or any other hazard. This charger can charge phones like iPhone X, iPhone 8/ 8plus at 7.5W and Samsung S9/ S9+ and Note 9 at a rate of 10W. But this charger is only available in China till now. And there are no words of it's availability in other markets. But just at CNY 69 or $10 it is a great deal.